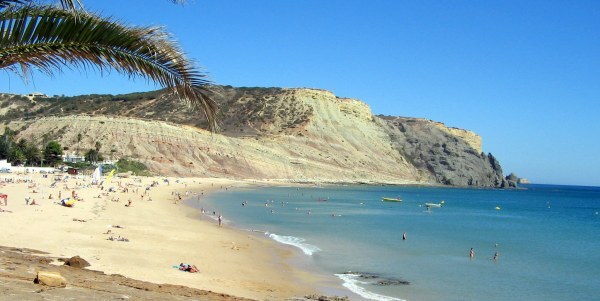 Luz Portugal is a place where everyone that loves Vila da Luz in the Algarve and of course Praia da Luz can come and share their views and maybe find something you didn’t know about Luz, this site is aimed both at tourists or first time visitors to Luz but also to the residents. Its divided into basically 3 sections, a permanent section (of places, business, things to do), a current section (of events, festivals, novelties) and a blog where i share tidbits about Luz and the Algarve. Now the choice to use English instead of Portuguese was hard, i wanted the site to be as broad as possible and reach as many people as possible and doing 2 sites in 2 languages makes it hard to keep it current and helpful, so i had to choose English, because it is widely used and most likely the choice of language for people visit Luz from abroad. Also Luz Portugal is a way for home owner and business owners in the region to promote their business and websites, although i do charge a fee to add your business to the site, it is just a one time fee, and its used mostly to keep the spam away, also if you add a link to Luz Portugal to your site then ill add your business to Luz Portugal free of charge. You can also advertise on LuzPortugal, for that just contact the webmaster for pricing. Thank you for the visit and i hope the site was cool and helpful.